There are merely a few things that might make bungalow or house residents in Hong Kong want to rather live in an apartment . Having wild snakes hide around home is one of them we often heard from residents of the Peak, Southside, Sai Kung, Clearwater Bay and DB. It would be a drawback of a natural living environment in warm places around the world, except for New Zealanders. Now, the snakes out there are well awake! They will remain active until end of year. If you have encountered a snake and would like to know if it’s venomous or not, or want a species identification, feel free to send us the photos. If you have a snake problem and would like professional advice or a check for your residence, fill in the booking form of our Snake Inspection/Removal service and schedule an inspection. How to raise a loving child? 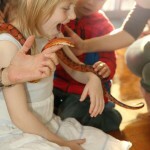 Being led by the right education, kids can foster a loving heart through the appreciation of not only the adorable-looking animals but also the ones look a bit chubby, slimy and creepy on the outside. 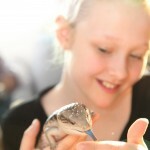 If adults show a gross face towards these cold blooded critters, it will develop a sense of discrimination in the kids. If adults show a you’re-not-so-handsome-but-i’m-still-happy-to-meet-you face, kids will develop a loving heart and we will have a peaceful world. It’s actually a gift for parents of this generation that we STILL have such a great variety of small animals living on earth we can let our kids explore. When these kids become parents, a lot of species now we see will have gone extinct. 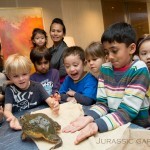 So now, give your kids an experience in interacting with our amazing critters. Safe and fun!